The International Baccalaureate Middle Years Programme encourages personal academic excellence through the application of inquiry-based learning and higher order thinking skills. In designing rich and challenging learning experiences, our teachers ensure all boys have the opportunity for extension within the classroom environment and enrichment beyond the classroom, to support their academic, social and emotional development. Enrichment is distinguished from extension in that it refers to the broadening of learning opportunities and experiences beyond the regular differentiated curriculum within classroom teaching programmes. What do you offer by way of extension? The International Baccalaureate Middle Years Programme offers a structure for extension by way of differentiation within the classroom programmes. Specific structures for extension in the Middle School are Extension English and Extension Maths classes for identified boys. How are boys identified for Middle School enrichment opportunities? Being accepted into an enrichment opportunity requires the student to be able to manage the normal curriculum and, at times, be withdrawn from classes or attend before school and after school sessions. 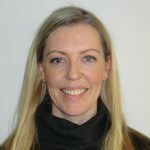 The Enrichment Programme in Years 6-8 is overseen and coordinated by an Enrichment Programme Coordinator in conjunction with the Middle School Dean of Teaching and Learning. Teachers across Middle School deliver different aspects of the programme dependent upon expertise and areas of interest. Extra-curricular enrichment opportunities can take the form of ongoing or short-term intensive activities. What do you offer by way of enrichment? Maths Olympiad: identified students participate in challenging problem solving activities with like-minded students. Maths Olympiad aims to foster Mathematical creativity, develop flexibility in problem solving, strengthen Mathematical intuition and provide for the satisfaction, joy and thrill of mastering challenging problems. Tournament of Minds: identified students compete with like-minded students to solve demanding, open-ended challenges from one of the following disciplines – Language Literature, Maths Engineering, Applied Technology and Social Sciences. Tournament of Minds develops diverse skills, enterprise, time management and the discipline to work collaboratively. World Scholar’s Cup: selected students prepare to compete with like-minded students in this international academic tournament. The World Scholar’s Cup has grown significantly in recent years to become an international event with more than 15,000 students participating across 50 countries. The event is an inclusive enrichment experience in which students of all backgrounds work together to explore new subjects and practise new skills. da Vinci Decathlon: selected students prepare to participate in an academic team competition set around competing in ten events that require collaboration, problem solving and higher-order thinking. This national challenge sees teams work on problems in Science, Engineering, Mathematics, English, Codebreaking, Cartography, Creativity, Philosophy and General Knowledge. Cluedunnit Kids Competition: provides Year 6 student teams with an opportunity to ‘investigate’ a criminal offence with the goal of identifying the offender. Teams submit their findings to a panel of experts from the legal profession and compete against other student teams from schools across Western Australia. 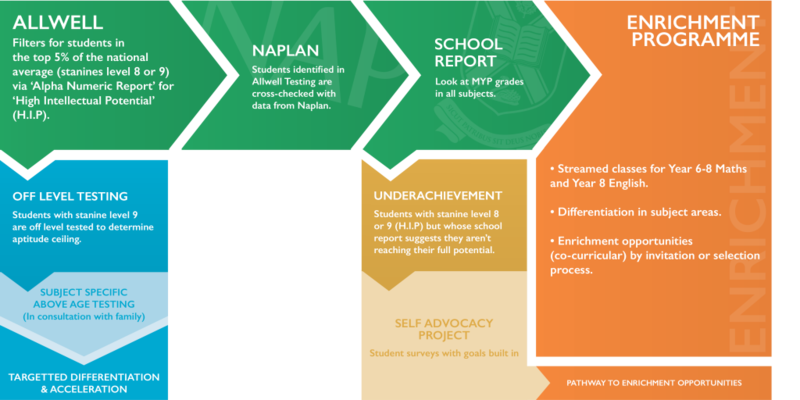 Students learn to develop research, analytical and creative, teamwork, and argumentative skills in line with NAPLAN. Debating: Years 7 and 8 students can enrol in the Western Australian Debating League (WADL). WADL aspires to ensure all students have meaningful access to debating that encourages critical thinking, fosters engagement with global issues, and equips students with lifelong skills and the confidence to pursue their potential. WADL aims to do this by ensuring all WA school students have access to challenging debating competitions, high quality resources, and purpose-built development opportunities. Australian Mathematics Trust: The Mathematics Challenge for Young Australians (MCYA) is a staged programme designed to motivate, stimulate, encourage and develop mathematically interested students in Years 3 to 10 and to bring forth the talent and potential within. It is an opportunity for talented students who enjoy mathematics to formally extend their knowledge of mathematics with course work that augments the school curriculum. Art Stars: This co-curricular programme is designed to push and develop technical skills, as well as conceptual thinking skills. The programme focuses on a number of areas, some of which include drawing, painting and ceramics. Students’ work will be exhibited at the end of the year in the School Art exhibition, as well as targeted for entry into some of the State’s premier Art Prizes for students, such as the Black Swan portrait Prize in November. Creative Writing: The Talented Young Writers Programme provides opportunities for boys to work closely alongside Australia’s most creative and inspirational authors of Young Adult Literature. Selected students attend intensive workshops to nurture and develop their skills and confidence as creative writers. Students are able to listen, question, write and share with other like-minded students and adults, building up a repertoire of writing samples and pieces. Under rare circumstances, Scotch College provides opportunities for acceleration including grade skipping and subject specific acceleration. Please refer to the key documents for our Acceleration Policy.